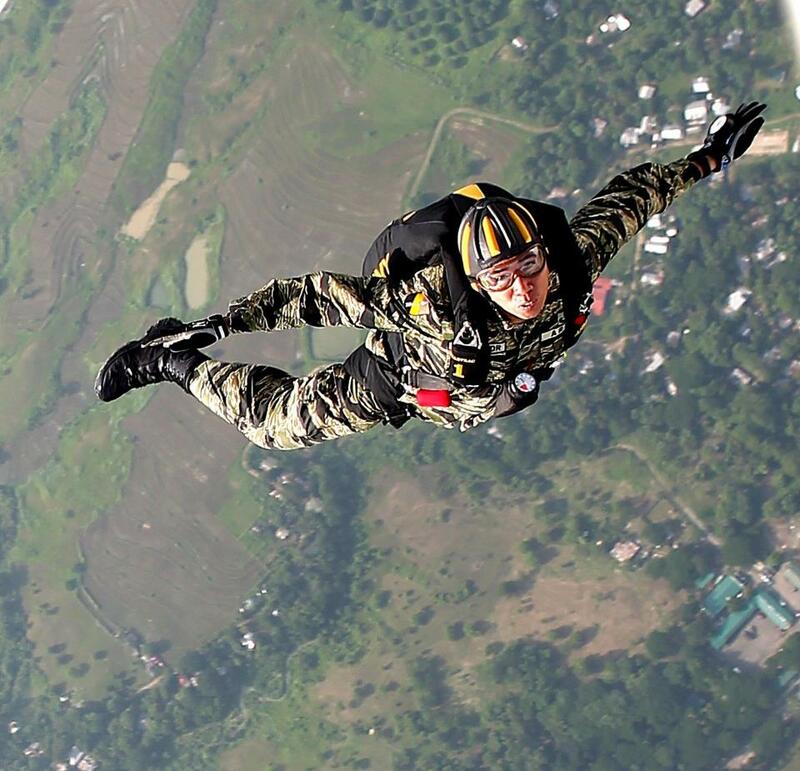 My fascination with skydiving started when I worked at the Headquarters Philippine Army in 2003. Why not? You don’t get to see these people jumping off the helicopter every day and those skydivers only grace very special military ceremonies as the grand finale. After every exhibition, I would often find myself in awe as I give them my warmest round of applause. Although I haven’t tried skydiving yet due to personal and financial reasons, skydiving is – and will always be – something I look forward to trying in the near future given enough “courage” and proper training. Yes, enough “courage” because of my fear of heights and (mind you) skydiving is not an ordinary sport I can just randomly try. I cannot just buy a parachute, walk in there, and tell them, “I want to sky dive!” and jump! So when I got this job, I made sure I’ll write a story about skydiving [and about my first jump, if ever – soon!]. Thanks to our gracious hosts from the Philippine Army who accommodated me and my friends so I can write a story about it. We also had the opportunity to ride the helicopter and witnessed the actual jump. Seriously, I felt like my heart will jump out of my chest and from the helicopter in panic and excitement as I witnessed the soldiers jumping off one by one. Skydiving or parachuting is performed as a recreational activity and a competitive sport. 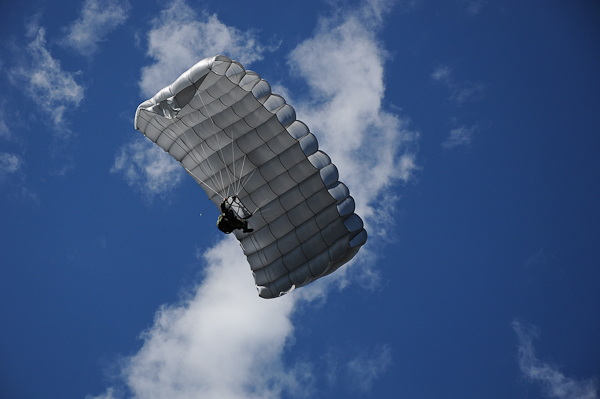 Military freefall is usually used for the deployment of military personnel airborne forces and has military implications especially on operations – it is a mode of transportation. “This is not for everybody. We cannot mass produce because we will increase the risk of accidents. 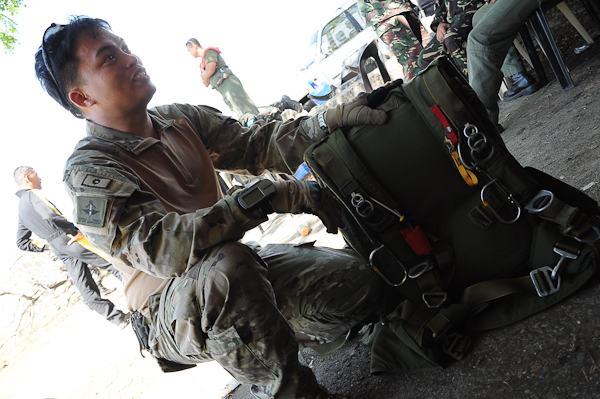 We only train and sustain a small group because if we increase them, we cannot control the accidents,” says Major Harold Nemenio, a member of the Philippine Army Parachute Team (PAPT) who recorded his first jump in November 26, 2005 and has a total of 310 jumps to date. To prove that skydiving is a very dangerous sport even for trained jumpers, Nemenio shared that one of their jumpers died in 2010 after suffering from hypoxia [lack of oxygen] at 10,000 feet. “He’s not well rested that time. He’s the least expected [to die] because he’s my instructor and his jumps were three times more than mine,” recalls Nemenio. On the other hand, Nemenio said trained, civilian jumpers can join them as long as they first ask permission. Walk-ins are subject to a background check. “We ask him, sinong nagturo sa’yo? (Who taught you?) We have a small community and we can contact them. 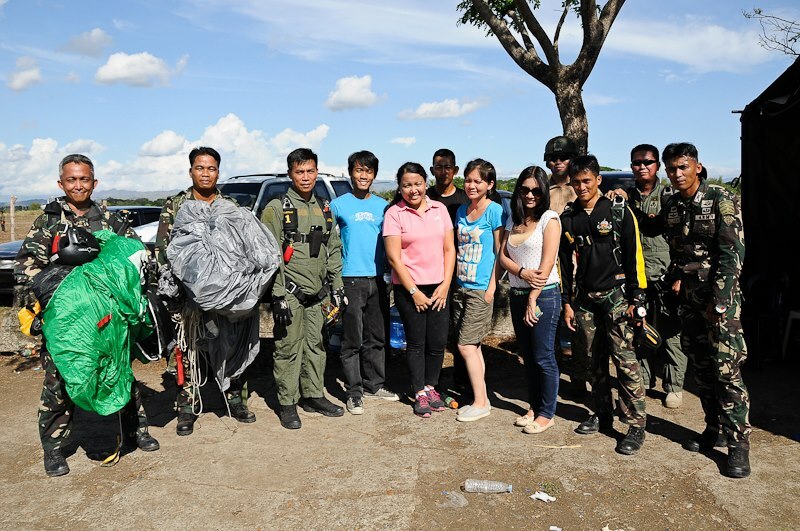 Then after verifying, we’ll check his/her parachute,” he said, adding that he knows a skydiving club that conducts briefing/lectures in Clark and actual jumps in Iba, Zambales or Cebu City. Compared to a civilian skydiving course, which they call accelerated training freefall and is more focused on individual jumping, a military freefall course trains soldiers how to jump as an individual and a group, how to jump at night with combat equipment, how to fold his own parachute, how to insert during operations, and many others. Although no physical training is required in a military freefall course, one needs to have a healthy heart/no heart condition and good working eyesight. 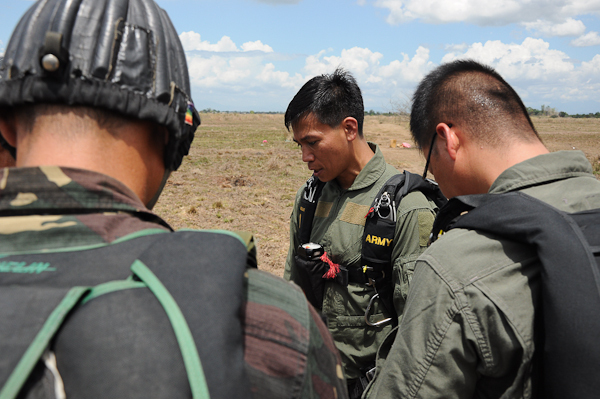 He is also required to undergo a 35-day ground training phase, which is being conducted by the Special Forces school of the Army in Fort Magsaysay, Nueva Ecija, before the actual jump. During the jump phase, which usually lasts for a week, the student-jumper has to perform a total of 10 jumps: three jumps with the jump master (JM)’s assistance and seven more without assistance once the JM is satisfied with his performance. “The minimum altitude for beginners is 5,000-6,000 feet. The higher, the better. For his vision, it is not necessarily 20-20 but it has to be in a good working condition, average. As long as he can determine the depth from the ground or depth perception,” explains Nemenio. 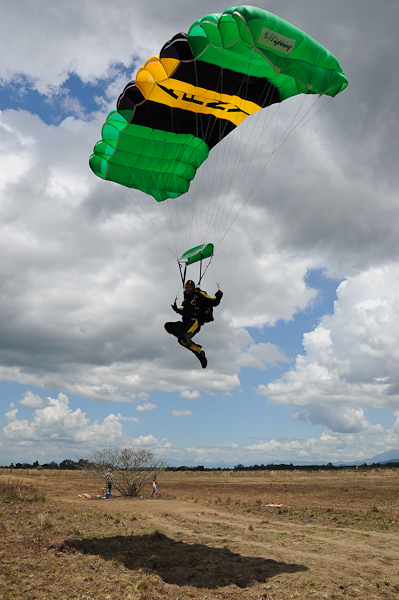 At present, skydiving is only limited to foreigners, local civilians who can afford it, and soldiers who use this activity not only during military operations, but also for humanitarian purposes. 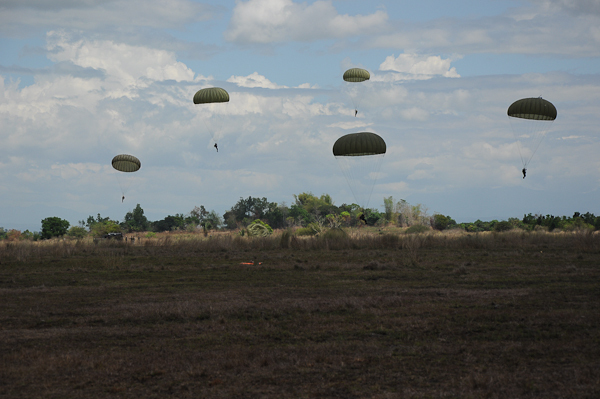 “The Philippine Army Parachute Team (PAPT) is an ad hoc unit of the Philippine Army (PA). It is composed of a 15-man team who gathers together to perform a task given by the Command. 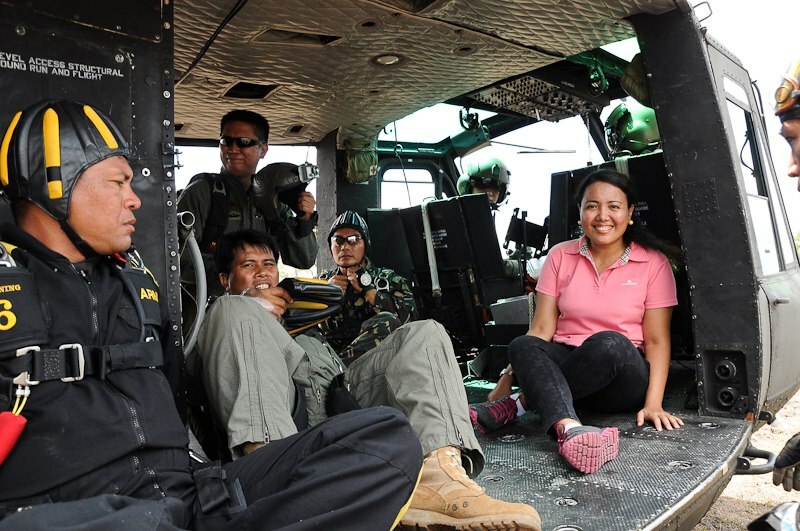 Its main purpose is to be the Philippine Army’s ambassador of goodwill – to bring the army closer to the people thru parachuting,” explains Col. Eliglen Villafor, PAPT’s team leader since 2006. 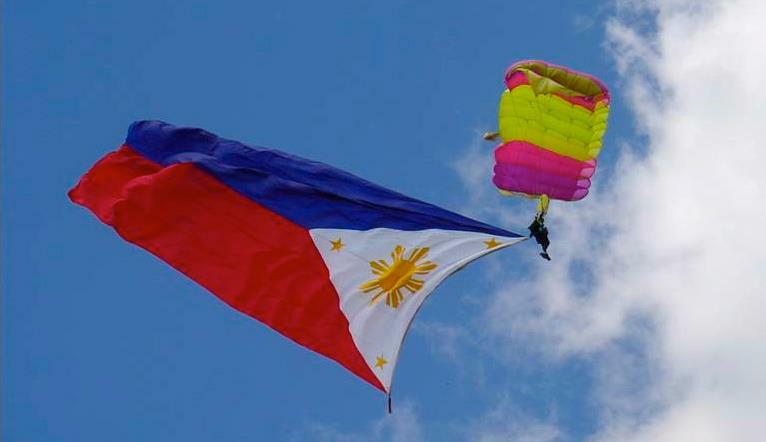 PAPT performances are not limited to the Armed Forces of the Philippines (AFP) day, Army day, or Hot Air Balloon. They also perform during national events like Independence Day or as part of the activities in the provinces all over the Philippines. 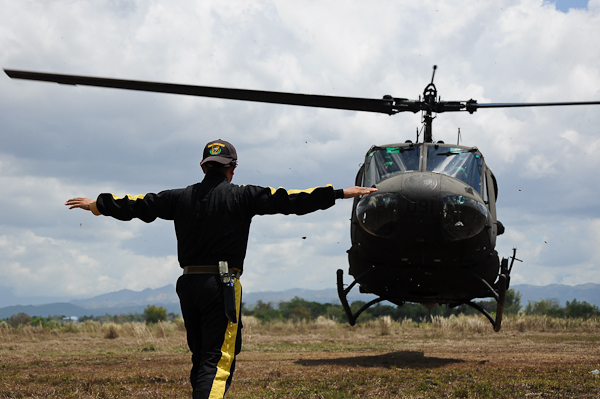 “It is also our way to recruit prospective soldiers of the Philippine Army,” says Villaflor. 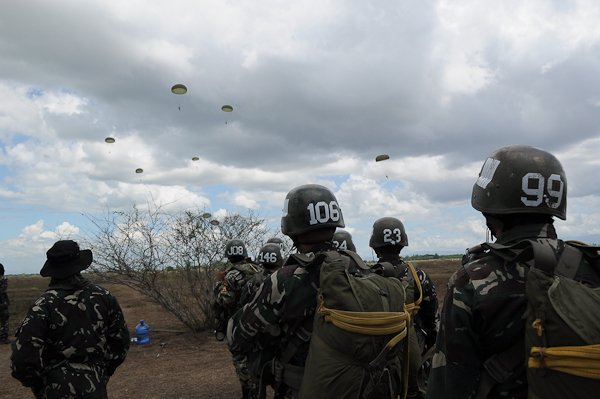 When it comes to recruiting members of the team, Villaflor said that a soldier must be an airborne graduate and the potential. “So it’s not only a 15-man team, sometimes we have 30 members. We conduct selection every year to see who will qualify for that year or for six months,” he said. But he clarified that although they conduct recruitments every year, they don’t just replace members, only when someone retires from the service or if there’s untoward incident. However, Villaflor explained that being a PAPT member is just a soldier’s secondary function, he has primary functions such as being airborne instructors, combo members, division/section chiefs, etc. But one of the perks of being a member of the team, aside from the jump pay, is the chance to compete in foreign countries like in China or Indonesia. “We are often invited by Asian armies to participate in military parachute team competitions. In fact last September 21, 2012, we placed 3rd in Indonesia under the Competitive Accuracy Landing category,” he says. According to Villaflor, PAPT always compete in that category. Competitive accuracy landing is a team event with five persons on each team that takes place over five rounds, usually around 3,500 feet. The score is measured in meters from “dead center” – a circle with a diameter of 2 centimeters (a little less than an inch), which jumpers have to hit with their shoes. The disk measures the distance from the edge of the dead center circle to the point he touches the disk, in increments of 1 centimeter (0.01 meters). The team competition ends after the five rounds are completed and winners are declared. 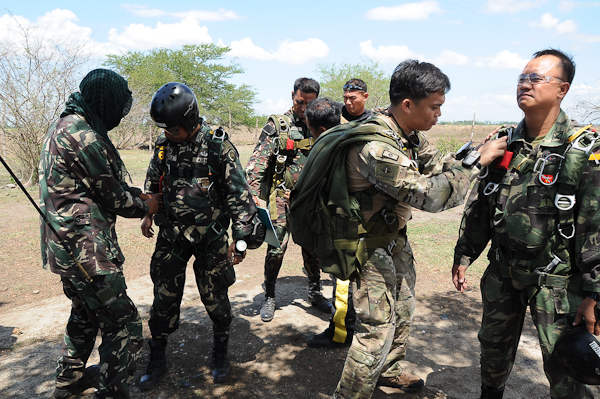 “Even before PAPT started in 1994 as an ad hoc unit of the Army, the Philippine Army already has a jump school within the Special Operations Command so most of our members are from the Special Forces school/regiment. If he’s not a member of the SF regiment, he’s a former member. This is where the opportunity to jump,” says Villaflor. Villaflor said that skydiving in the Philippines has a lot of potential to attract tourists but it’s not yet fully developed. He’s hoping that some private or foreign companies or even the government would invest more on the sport or take notice of it to lessen its cost and attract more tourists/visitors. “We still don’t have infrastructure or facility that will support this kind of activity. For you to be able to jump, you need a gear, parachute, aircraft, and a school/training center. PAPT can afford to jump because we have an airborne school. 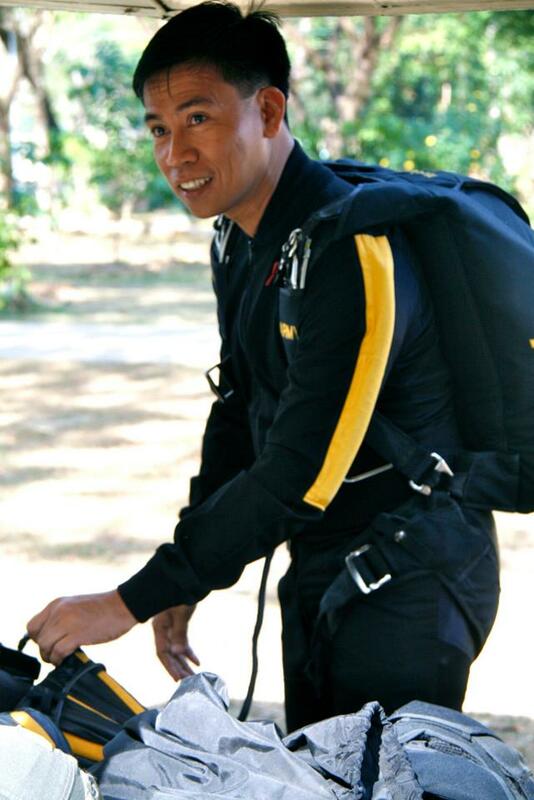 We also conduct military freefall course or skydiving,” says Villaflor who started jumping in 1994 and has recorded more than 500-600 jumps. As Jack Cravatt said, “So many people spend their entire lives asleep while only a select few know what it is like to be truly awake” and definitely, skydiving is one extreme sport that’ll keep you awake. With blue skies, a perfect parachute, and necessary skills, there isn’t much to worry about. As they say, what almost kills us makes us stronger. So, are we expecting blue skies ahead? Definitely!